Breathe in the beauty of Berlin real estate at Windmill Creek Vineyard and Winery. Located minutes north of downtown at 11206 Worcester Highway this is the perfect place for a peaceful getaway. Family owned and operated, the Windmill Creek Vineyard is well loved. New in its fruition, the business is already earning rave reviews. Wines are flavorful and staff friendly drawing in a crowd from near and far. A flourishing vineyard provides a stunning visual and gives way to the creation of amazing fine wines. Wine tastings provide opportunities to cultivate friendships, encourage romance, celebrate anniversaries and even ease first date tensions. The nearby wildflower fields add a brilliant touch to the already picture perfect ambiance. The history is rich here and the roots grow deep. The historic Mariner House sits proudly on the Berlin property. Restored to its former glory this 1924 home serves as a genuine time capsule. Guests can actually rent out the building and relive the simple joys of living years and years ago. Elegant spaces comfortably house visitors from out of town as well as residents of the region. Modern amenities add to the specialness of the stay and blend nicely with authentic touches. Weddings and other special events are often hosted on the grounds. Ceremonies and receptions held on the Mariner House porch are filled with charm and elegance. Spacious lawns provide plenty of room for guests to mingle on the couple’s special day. 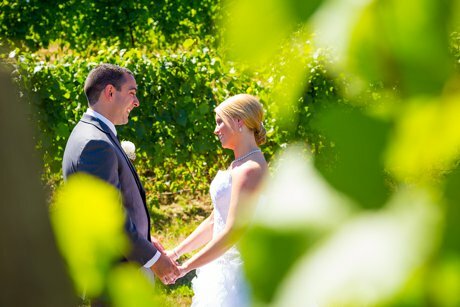 Wine tastings add a special touch as well and incorporate the theme of getting married alongside a growing vineyard. Hours for the Windmill Creek Vineyard are seasonal. During the wintertime when the Berlin real estate venue is closed wine tastings are on the move. Custom wine tastings are perfectly entertaining for events both in the home and in the corporate world. Call 410.251.6122 to schedule a tasting.